T'was a rainy Saturday; I was bored, and since I'm obsessed with L & Sasuke, I decided I had to make a wallpaper featuring either one of them! 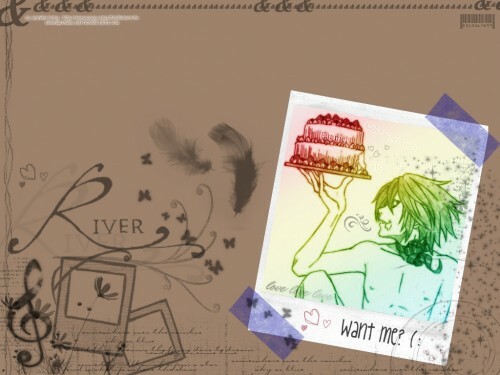 Quote by L. Lawliet"If you use your head, you won't get fat even if you eat sweets"
I love that picture of him. Can you post that picture? L ? Woww That's fantastic.Good ,no exelent Job ! wow....that is some seriously tempting content there! love it!